Like many buildings of its vintage, the century-old headquarters of the United States General Services Administration was once lined with asbestos. The hazardous mineral, used for fireproofing, filled nearly a half-million square feet of the building on F Street in downtown Washington, D.C. It took more than a hundred licensed workers almost a year to pry out the substance during a renovation that began in 2011. The workers would log nightly nine-hour shifts, spent mostly in air-tight spaces that reached 100 degrees. Some didn’t wear clothing beneath their protective Tyvek suits, hoping to stave off heat exhaustion and avoid bringing home cancer-causing asbestos fibers. The pay for this grueling task was dictated by the Davis-Bacon Act, a 1931 law that promises specific wages and benefits for construction work on government buildings and infrastructure. The compensation set by the U.S. Department of Labor under the act, based on location and job duties, is often higher than what’s offered on private-sector projects. Three workers on the GSA job who spoke to the Center for Public Integrity said their employer didn’t tell them what they were owed under the law. They and 124 others filed a complaint with the Labor Department’s Wage and Hour Division in 2011. Investigators found in the workers’ favor, saying they should have earned $25.47 per hour including benefits, as skilled laborers, a specific category of employee under Davis-Bacon. Instead, their supervisors paid them $15.84 an hour and classified their work as general labor. Six years after the complaint was filed, the investigation remains open because of an appeal. The workers still haven’t gotten their back pay. But in some ways, Fonseca and his former co-workers already have beaten the odds. The Wage and Hour Division must enforce at least 14 statutes across the nation’s 29 million businesses with a team of only 929 investigators as of the end of June. Federal agencies, which spent more than $470 billion on contracts during the 2016 fiscal year, are saddled with a flawed system to vet contractors and monitor their compliance with those laws. As a result, contractors’ violations rarely show up in government databases. Subcontractors, which often employ most of the workers on construction projects, get even less scrutiny. Last year, the federal government spent more than $40 billion on contracts covered by Davis-Bacon. But a Center investigation found that about 70 percent of the businesses caught violating the law in 2016 don’t appear in federal databases designed to track companies’ contracting records. Weak oversight allows subcontractors in particular to shortchange workers on government projects with little fear of being caught or barred from future contracts. Meanwhile, their overseers often maintain clean labor records and continue to win government business. This fiscal year, federal agencies have spent more than $425 million on contractors found to have violated Davis-Bacon in 2016, according to U.S. Treasury and Labor Department records analyzed by the Center. The top spenders: The U.S. Department of Defense and the GSA. 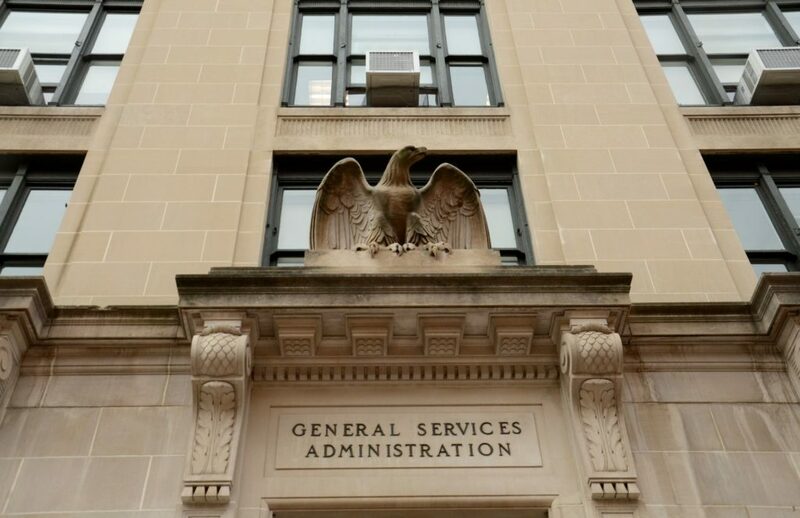 A GSA spokeswoman said in a written statement that the agency could not comment on the wage-theft allegations related to its headquarters renovation because of the ongoing Labor Department investigation. It’s GSA policy, she said, to check companies’ compliance records and investigate any concerns noted by contracting officers before awarding contracts. The Defense Department conducts similar reviews to ensure that “contracts are only awarded to responsive and responsible companies,” a spokesman said in a statement. In fiscal year 2016, the Labor Department found 12,567 Davis-Bacon violations and recovered about $20.5 million in back wages for workers, down from an average of $26.5 million over the previous five years. But the true extent of the problem is impossible to know given the department’s limited ability to police millions of businesses and the prevalence of misinformation and fear that keeps workers from getting legally owed wages. During the first two years of the Obama administration, the Wage and Hour Division added nearly 300 investigators, and recovery of back wages jumped accordingly. Collections in 2011, for example, were more than double those of the previous year. The number of investigators has since hovered around 1,000. Unlike the Fair Labor Standards Act, which establishes the federal minimum wage, Davis-Bacon usually bars workers from trying to recover lost pay through private lawsuits. Most aggrieved workers, therefore, must go through the Labor Department for relief. Enforcement by the department is complicated by the layers of companies often involved in construction work. The prime contractor on the 2011 GSA headquarters renovation was Whiting-Turner/Walsh Joint Venture, which was paid $124 million to oversee the work. Luis Fonseca worked under a subcontractor called Asbestos Specialists Inc., which brought him on through a staffing company, further distancing him from Whiting-Turner/Walsh management. The Wage and Hour Division accused Asbestos Specialists of misclassifying — and therefore shorting — workers on the GSA project. But the case remains open on appeal, and the asbestos workers have yet to receive the $640,693.74 the Labor Department says they’re collectively owed. “We all have commitments — we have responsibilities with our kids, our parents, our wives,” said Manuel Vega, one of the workers who is due back wages. In a related investigation in 2016, the Equal Employment Opportunity Commission accused Asbestos Specialists of discrimination. The workers, mostly immigrants from Latin America, claimed company supervisors harassed them with racial slurs and demeaning treatment, such as giving them unfiltered water — sometimes after spitting in it — while the supervisors drank from bottles. In a settlement with the EEOC, the company did not admit wrongdoing but agreed to pay the workers a total of $100,000 and provide anti-discrimination training to its staff. Asbestos Specialists has received at least $5.8 million in federal construction contracts since 2013. In a written statement, the company’s lawyer said Asbestos Specialists has appealed the Labor Department’s decision in the GSA case and believes it paid the workers properly. Apart from Fonseca, Vega and the 125 other workers it hired through the staffing company, Asbestos Specialists put 13 of its own employees on the GSA job. Those 13 workers were paid close to the legal rate of $25.47 per hour. Government subcontractors underpay their employees any number of ways, Labor Department records show. Some companies misclassify workers, claiming they belong to a lower-paying trade, as the Labor Department found with the GSA asbestos-removers. Others have been caught striking employees from payroll records entirely. Still others cut workers’ hours on paper to make it appear that the wages paid reflected actual time worked. In one case, air-conditioner installers on a job financed in part by the U.S. Department of Housing and Urban Development were routinely given paychecks reflecting the $50.70 per hour to which they were entitled under Davis-Bacon. They were forced to cash the checks and return about half the money to their employer, Igloo HVAC LLC, the Labor Department alleged. Payroll records submitted to HUD reflected none of this. The Labor Department settled the case with Igloo HVAC, which paid more than $80,000 in back wages to five workers. Roberto Flores, the company’s owner, declined to comment, citing the settlement agreement. A HUD spokesman said that while the agency reviews payroll records submitted for projects it finances, it can’t always verify the accuracy of those records. Wage theft in federal contracting has taken on new urgency as the Trump administration proposes a “great rebuilding of our country,” a $1 trillion increase in public infrastructure investment over the next 10 years. In June, Transportation Secretary Elaine Chao announced that wages paid to workers on highway and other infrastructure projects would be covered by Davis-Bacon. But federal agencies’ track record of monitoring violators isn’t good. Regulations require agencies to determine whether potential contractors are “responsible,” which can have myriad meanings — whether they can stick to a schedule, for example, or have sufficient assets. Federal contracting officers use a network of databases to review companies’ performance, but the databases, which are maintained by the Defense Department, don’t usually divulge labor-law violations. Companies that win contracts vet their own subcontractors, which generally don’t appear in the databases. Toward the close of the Obama administration, the Labor Department tried to address these problems with a rule that aimed to bring government contractors into compliance with Davis-Bacon and other labor laws before they could receive additional awards. The short-lived Fair Pay and Safe Workplaces rule, which became final last year, created a system under which agencies could review companies’ violation histories: Companies would report any black marks from the previous three years. Each agency would get a labor compliance officer, and contracting databases would become more inclusive. The rule also included a paycheck-transparency mandate, requiring contractors to break down payment amounts in detail to workers and specify their job classifications. Most of the rule’s provisions never went into effect — they were stayed by a federal judge following a lawsuit by two trade groups, Associated Builders and Contractors and the National Association of Security Companies. All of this became immaterial in March, when President Donald Trump affirmed Congress’ vote to dismantle the rule under the Congressional Review Act. “When I met with manufacturers earlier this year — and they were having a hard time, believe me — they said this blacklisting rule was one of the greatest threats to growing American business and hiring more American workers,” Trump said as he signed the legislation. Now, as was the case before, information on companies’ labor infractions — distinct from the performance databases administered by the Defense Department — lies scattered across Labor Department, EEOC and National Labor Relations Board offices. For workers who file complaints with the Labor Department, recovering wages can be an arduous process. Last year, the department closed 864 Davis-Bacon cases in which it had found violations. A typical case took about 250 days to resolve. Some cases were closed within one month; the oldest was opened in 2006. Fonseca and Vega, the former GSA asbestos workers, still don’t know when their case will end. It involves four interconnected employers. At the top of the chain was Whiting-Turner/Walsh, the general contractor. Next came Interior Specialists Inc., a subcontractor. That firm, in turn, hired Asbestos Specialists. Finally, there was WMS Solutions LLC, the staffing company that directly employed the asbestos-removers but didn’t determine their pay. WMS isn’t part of the Labor Department’s investigation; the other three companies have contested the wage-theft charges. A Whiting-Turner spokeswoman declined to comment on the case. Representatives of its partner on the GSA headquarters renovation, Walsh Group, and Interior Specialists did not respond to requests for comment. Maryland records show WMS’s business status as “forfeited,” and company officials could not be reached. In April, Trump made an appearance at North America’s Building Trades Unions’ legislative conference. “I’ve spent my life working side by side with American builders, and now you have a builder as your president,” he told his audience. He called out different trades represented in the room, from bricklayers to ironworkers to plumbers, waiting for each group to cheer. The Trump administration’s Wage and Hour Division, whose top posts remain unfilled, has yet to reveal its enforcement strategy, and division officials declined to be interviewed for this article. The Labor Department’s fiscal 2018 budget request for the division seeks a modest $3 million increase to help employers with legal compliance. The Obama administration, in contrast, sought an extra $50 million to boost wage-and-hour enforcement for the current fiscal year, but Congress failed to appropriate the money. This year, the House Appropriations Committee has proposed a $10 million cut for the division, and a $1.3 billion cut for the Labor Department overall. In March, acting Solicitor Nicholas Geale said the Labor Department needed to show “a little more humility.” In June, the department reinstated a practice that had been suspended under Obama: the issuance of opinion letters, which on their face help employers clarify gray areas of labor law. Critics say the letters create a rationale employers can later use as a defense in worker lawsuits. To Rajesh Nayak, an Obama Labor Department official, the Trump administration’s moves so far are telling. “It starts to paint this picture of a very different Wage and Hour [Division] — and one that doesn’t match the rhetoric of putting American workers first,” said Nayak, who served as deputy chief of staff to Labor Secretary Tom Perez. The division has long fought an uphill battle. Its investigators rely on worker complaints, tips from industry and labor groups and their own sleuthing to enforce wage laws. Workers, however, are often reluctant to complain. “These guys may very well lose their jobs,” said John Monroe, a labor compliance officer at the Foundation for Fair Contracting. 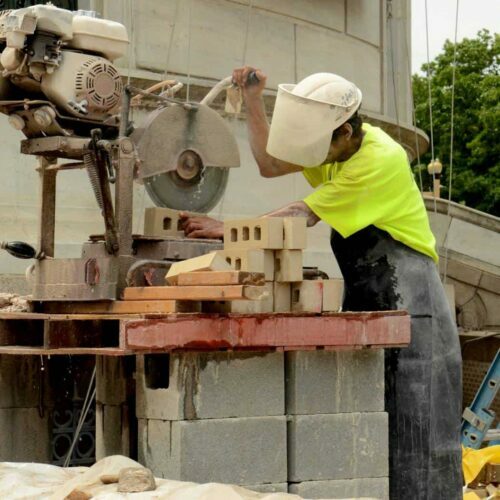 The foundation, funded by building-trades unions, seeks out wage-theft violations on government construction projects and submits complaints to the Labor Department. 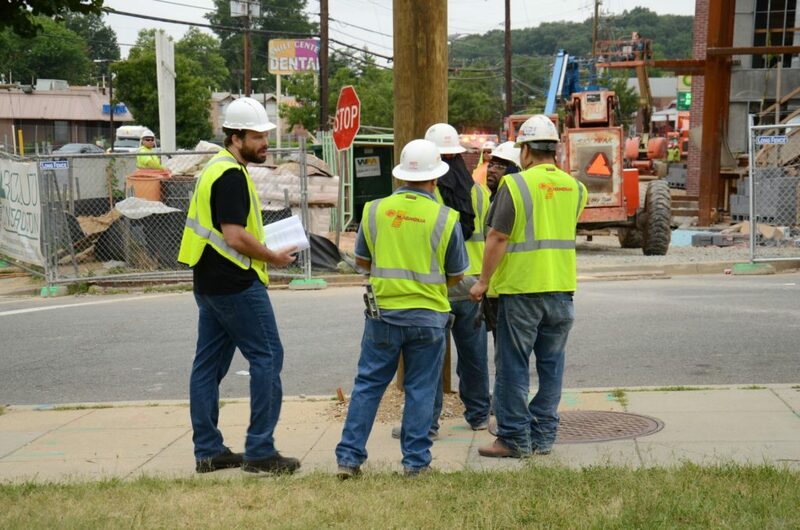 Monroe regularly walks onto job sites, blending in with a hardhat and safety vest. He asks workers about their pay and passes out sheets listing Davis-Bacon rates for different trades. Monroe said he’s never been to a site where he didn’t encounter a case of wage theft. But even when the Labor Department finds violations, companies usually are forced to pay only back wages. Penalties and damages are rare, especially in Davis-Bacon cases. In 2016, damages were assessed in less than 1 percent of cases in which Davis-Bacon violations were found, and penalties were paid in less than 2 percent. 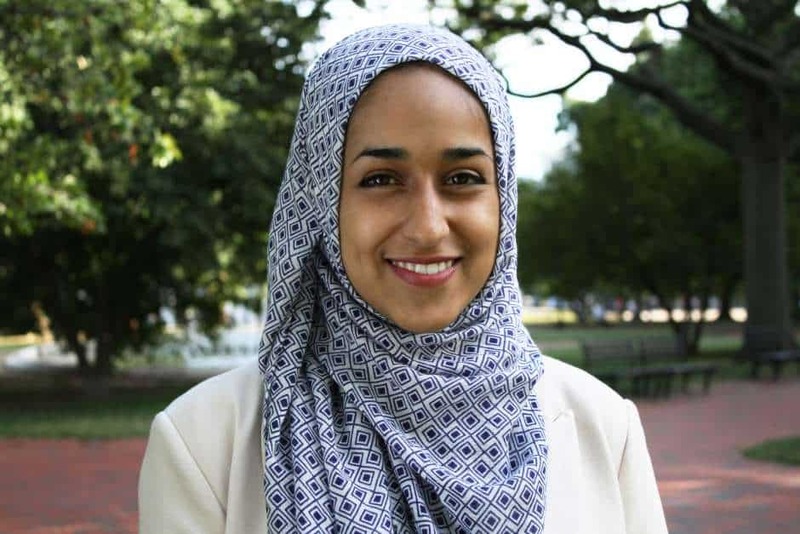 Data intern Iuliia Alieva contributed to this article.